We have 10 Hertz deals for you to choose from including 8 coupon codes, 2 Offer. We have a dedicated team searching for the latest Hertz coupons and Hertz codes. Simply enter the Hertz promo code at checkout and save money today. Find the best offers at Voucher Codes UAE for hertz, remember to check us regularly before buying online to get Hertz vouchers. Enjoy your saving on Hertz discounts and printable coupons online. 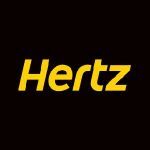 Hertz is the world's largest general use car rental brand operating in approximately 150 countries across the globe. With approximately 8,000 locations, Hertz can be found at most major airports and cities. Need a vehicle for you next big trip? Check out the Hertz coupons below and save with best car rental deals. Make sure you keep checking back to the Hertz Offers page on their site, as it's updated with amazing new offers and deals all the time. See if Hertz lets you stack codes on top of existing sales! Sign up for the Hertz newsletter for tips, new stuff and exclusive offers. Offer ends 12/31/ 2019. Upon qualifying rental, receive an activation email from Hertz. Activate link on email to automatically receive a second email with your 2 complimentary Movie Tickets from Hertz & Fandango. Enter code on activaterewards.com/hmm. • Book with PC# 205045 to receive your 2 complimentary Movie Tickets at vehicle pick-up. • Reward will be delivered via email no later than 7 days after vehicle pick-up. • Must rent a midsize car or larger for three or more days. Rent a car with Hertz at participating locations in Brunei, Hong Kong, Pakistan, Philippines, Singapore, Sri Lanka and Thailand for 4 (four) days or more and enjoy $15 off. Offer is valid on Affordable Rates (leisure retail rates) for self-drive rentals from now till 30 April 2019, for car pickup till 31 May 2019 at all participating locations in Asia (Brunei, Hong Kong, Pakistan, Philippines, Singapore, Sri Lanka & Thailand). ***Reservation must be made at least 48 hours prior departure. ***Offer is valid on all regular car groups, and is subject to a minimum 4 days rental. ***US$15 off will be deducted only during car pickup at the location, and calculated in local currency at the exchange rate applicable at that time. ***Minimum rental age applies and all drivers must be in the possession of a valid driver's license, which must be held for at least 1 year (2 years in Hong Kong). ***No other rates, discounts or promotions can be used concurrently. ***Hertz standard rental qualifications, rental period and return restrictions in effect at time and place of rental, as per applicable rate plan terms & conditions apply. ***Standard blackout dates apply. ***Hertz reserves the right to modify and/or cancel any offers without prior notice. Want us to notify you when we add new coupons and deals for Hertz? Offer ends 12/31/ 2019. Upon qualifying rental, receive an activation email from Hertz. Book with PC# 205045 to receive your $50 hotel reward credit. Reward will be delivered via email no later than 7 days after vehicle pick-up. • Valid on all car classes except Dream Cars®. Offer is valid on Affordable Rates (leisure retail rates) for self-drive rentals at participating locations in Switzerland. Reservation must be made before 7 April 2019, and pickup from 1 April till 14 July 2019. Offer is valid on all car groups (including Hertz Collections) with a minimum 1 day rental. Discount applies to time and mileage charges only and does not apply to taxes, fees and optional services. Book a car with Hertz at participating locations in Australia & New Zealand for 6 (six) days or more and enjoy a free day. Rent a Compact or above car with Hertz at participating locations in Europe for 5 (five) days or more and enjoy $20 off. Terms & Conditions***Offer is valid for self-drive rentals on Affordable Rates (leisure retail rates) from now till 30 April 2019, for car pick up till 31 May 2019 at all participating locations in Europe (Belgium, France, Germany, Italy, Luxembourg, Netherlands, Spain Mainland and UK). ***Reservation must be made at least 24 hours prior departure. ***Offer is valid on Compact cars and above, subject to a minimum 5 days rental. ***Offer is based off GBP 20 or EUR 20 depending on your pickup location. ***Minimum rental age applies and all drivers must be in the possession of a valid driver's license, which must be held for at least 1 year. ***No other rates, discounts or promotions can be used concurrently. ***Hertz standard rental qualifications, rental period and return restrictions in effect at time and place of rental, as per applicable rate plan terms and conditions apply. ***Standard blackout dates apply. ***Hertz reserves the right to modify and/or cancel any offers without prior notice. Book a Compact or above car with Hertz at participating locations in USA & Canada for 5 (five) days or more and enjoy US/ CA $20 off. Offer is available for chauffeur drive services in Brunei, China, Hong Kong, Malaysia, Philippines, Singapore, South Korea, Sri Lanka and Thailand, and valid for bookings until 31 December 2019. Offer excludes taxes, fuel, parking fee, toll fees and other optional items. Get the most out of your trip with a Hertz coupon code. With more than 10,000 rental locations in 145 countries, Hertz can put you in the driver’s seat at almost any destination, eliminating the need to hail a cab or navigate public transportation in an unfamiliar place. In addition to standard vehicles such as Toyota Camrys and Ford Focuses, Hertz also rents out supercars, including Range Rovers and Porsche Boxsters. But before you book the reservation for your rental ride, be sure to enter a Hertz promo code from VoucherCodesUAE Coupons to cut down on the total. Customers aren’t the only ones raving about Hertz. The travel industry has spoken out, too. “Travel + Leisure” magazine has named the company the Best Car Rental Agency 13 times. On top of that, Hertz was voted Best Overall Car Rental Company in “Zagat's” 2013/14 US Car Rental Survey. Don’t take their word for it, though. Grab a Hertz coupon code and check out Hertz’s first-rate service for yourself. Your rental car is just like your personal car, except that you have to rewind the speedometer before your return it. Keep that in mind when you’re using one of the Hertz discount codes from VoucherCodesUAE Coupons. January is not only the beginning of the new year, it's the start of a new century for us. To kick off our 100th birthday celebrations early, we're giving you an exclusive preview to save up to 25% on your next Hertz rental worldwide. Simply join our Gold Plus Rewards programme for free and not only will you receive up to 25% off your next rental, you'll get lots of other benefits too, such as 10% off all year round, the option to add an additional driver at no extra cost, reward points on every drive and 25% off child seats. Your rental car is just like your personal car, except that you have to rewind the speedometer before your return it.